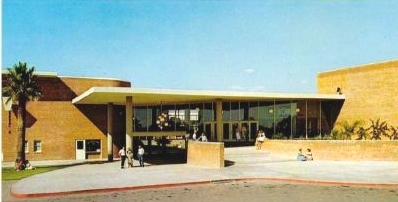 After high school, I attended the U of A graduating in 1963 with a BA in Education. Soon thereafter, John Perkins and I were married. We moved to the beaches of LA where I taught third grade and John began his career as an architect. Four years and two sons later, we moved to Boston. After a couple of years at The Architects Collaborative, John expanded his approach to architecture by entering the graduate program in urban design at MIT. I did the practical thing as mother of two preschoolers and became the resident director, aka housemother, at a junior college in the Back Bay - compensation included a two bedroom apartment. Loved Boston, but fate kept us moving. John joined a U of A classmate in Salt Lake City working on Snowbird, a ski resort in Little Cottonwood Canyon. It was 1971 and I joined the Sierra Club chairing the recycling committee - amazing that trash is still out of control. Soon we were on the move again as the firm expanded and John set up the San Francisco office. The boys' schoolyard was in desperate need of attention, so I got involved in a community built playground project. We received a sizeable federal grant funding 16 volunteer built play structures in San Francisco schoolyards along with a "how to do it" exhibition at the de Young Museum in Golden Gate Park. In 1973, the price of oil skyrocketed to over $10 a barrel. Work on ski resorts immediately came to a halt, except for a project in Vancouver, Canada. In 1975, we were off again, but this time we stayed put 34 years later and we have no regrets. I became involved with the Museum of Anthropology on the University of British Columbia campus eventually earning an MA in Anthropology. It was a great experience even providing my first opportunity to travel abroad with a fellowship to study in India the summer of 1979. In 1983, I joined the exhibits department of EXPO 86 and became the project supervisor for the Roundhouse Theme Pavilion. The main exhibition contractor was based in Prague, and I made several trips to this land of spy novels well behind the Iron Curtain. By the early1990s, I had become practical again and took on the financial/office management side of Perkins & Company I retired in 2004. John has stepped back, and our son John Jr now heads the company. Our other son, Fred, also plays an important role in the firm beginning two decades ago when he set up the CAD system. Check out the website at www.perkinsandcompany.com. Retirement has opened up new opportunities. We have two wonderful grandchildren who provide good reasons for exploring museums, having picnics and eating ice cream. In 2001, I became a member of the Vancouver Guild of Fibre Arts just in time to join a group traveling through Turkey in search of textile traditions. It was a fantastic journey and has been the basis for great, encouraging friendships. Not until our 25th anniversary did John and I have time and resources to travel abroad together. We started our world travel with a couple of delightful weeks in Paris to mark that significant occasion. In November, we are off to Vietnam and Cambodia including a week building a house with Habitat for Humanity outside of HaNoi, making a sentimental journey to DaLat where John went to boarding school ages 7 to 12, and traveling up the Mekong to Angkor Wat. Some of the 1959 grads might remember my father, Fred Piziali, who worked on setting up the industrial arts department at Catalina and taught wood working. In 1965, he was diagnosed with cancer and passed away in 1969, age 59. Some years later, my mother died after her own battle with cancer - lesson learned, don't take life, family and friends for granted. 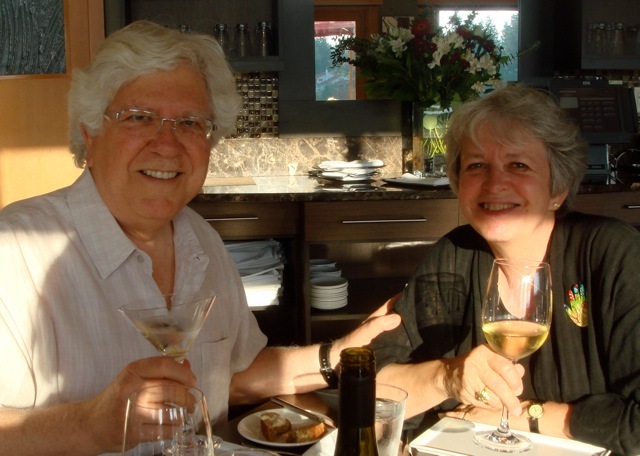 Celebrating 46 years of marriage, June, 2009.